With a recent revival of the opulent aesthetic in major fashion and design houses and dominating headlines, travel accommodations around the world are taking notice and upping the ante on stylish digs. When it comes to picking a stylish stay, Canadian travellers look for natural touches and beautiful surroundings. According to recent research from Booking.com, the global leader in connecting travellers with the widest choice of incredible places to stay, 36% of travellers want a balcony when selecting their accommodations, 27% look for an infinity pool, and 23% are after sleek interior design. 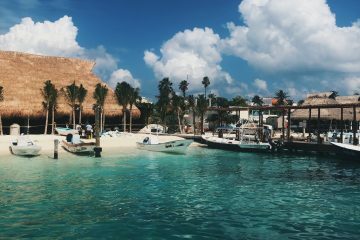 To help you find the most chic, baller-esque places to stay on your next adventure, we’ve rounded up seven of the most magnificent maximalist hotels for on-trend travellers to sate their extravagant tastes. Almost two thirds (63%) of Canadian travellers say that their main motivation for travelling in 2019 is to escape from normal life, and a stay at one of The Royal Mansour’s 53 private riads can ensure just that. Eight acres of Moorish gardens all share the same ornate sense of style; four-poster beds with velvet brocade curtains, silk-covered or mosaiced walls, carved wooden doors and other palatial details that took over a thousand craftsmen several years to complete. 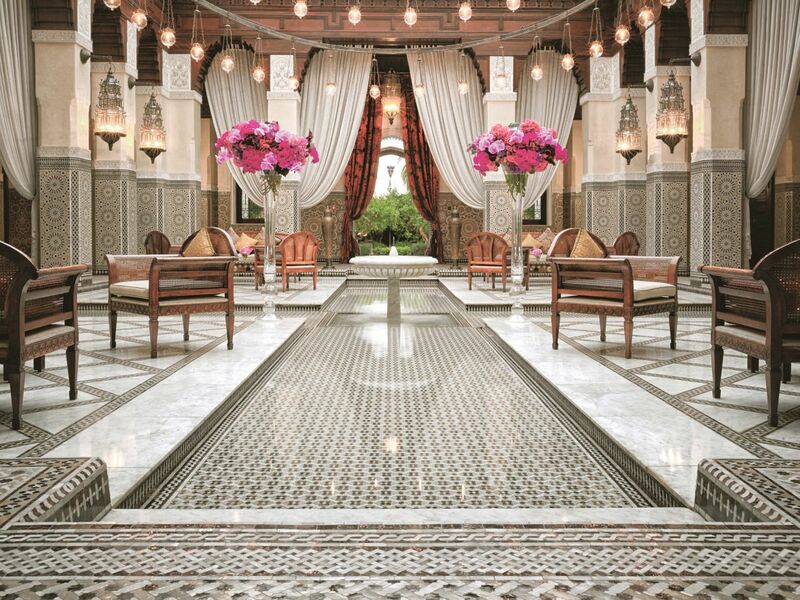 Commissioned by King Mohammed VI and modelled on a traditional Moroccan palace, the Mansour is the epitome of luxury. The staff even travel discreetly around the grounds via a network of subterranean tunnels. The Ritz has been a shining example of maximalism since it opened in London in 1906. Its Louis XVI style, defined by pastel hues, 24 carat gold leaf, neoclassical statues, marble columns and mirrored walls, has been adhered to despite several massive renovations over the years. The Ritz hosts its prized afternoon tea in the gold-tinged Palm Court, which is decked out with birdcage chandeliers and palm trees centred around an enormous floral display. 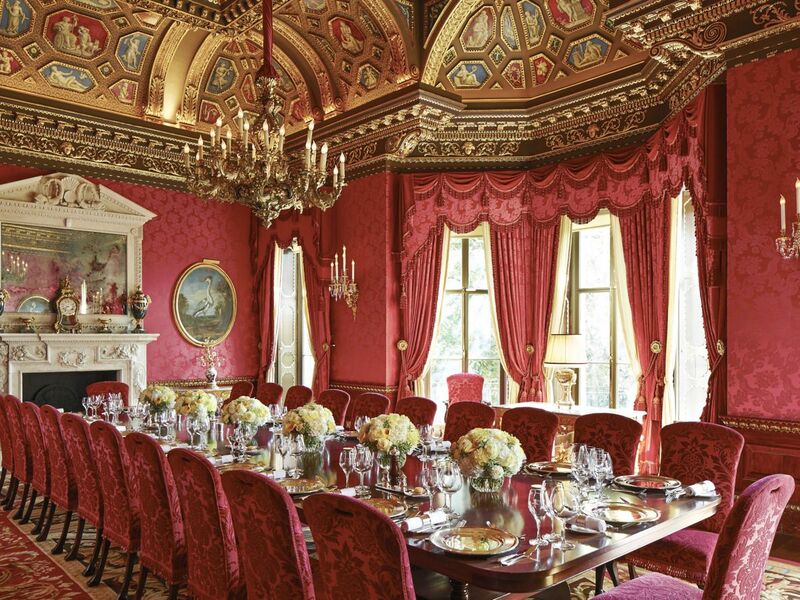 While the dining room – all burgundy velvet and ceiling frescoes – is probably the most beautiful you’ll ever see. 42% of Canadians reported that they consider London to be the most stylish city in the world and The Ritz’s decadence is out to prove that they are dead-on in this assessment. 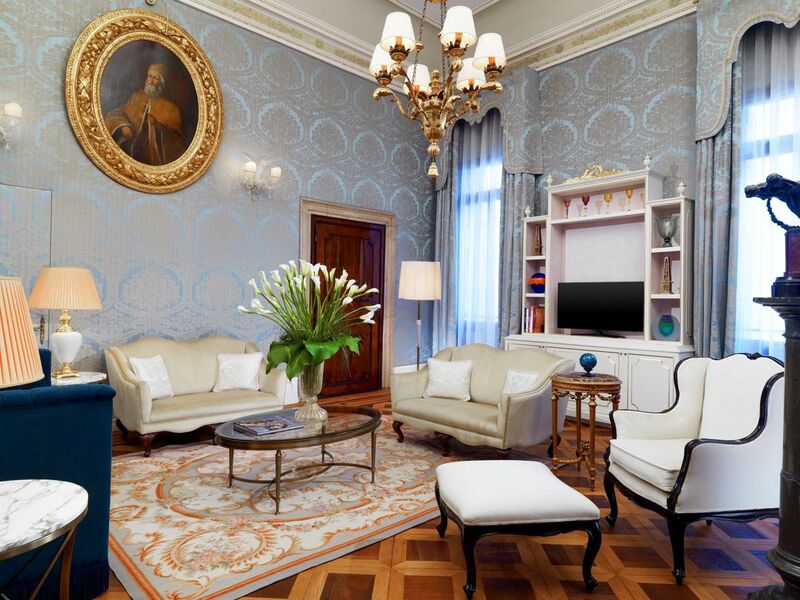 Three 14th-century Venetian palazzos combine to form the lavish Hotel Danieli on Venice’s waterfront. Just a few minutes from St Mark’s Square, the hotel’s rooftop restaurant has panoramic views of the Venetian lagoon and the city. But the regal suites are what’ll get avid maximalists going; mahogany antique four-poster beds are draped with pastel-coloured, cloud-soft silk quilts, while Renaissance paintings, frescoes and Murano glass chandeliers adorn the walls and ceilings and the bathrooms are clad entirely in marble. Housed above an old Parisian boulangerie in the chic Le Marais district, Hotel du Petit Moulin is an artful example of modern maximalism. 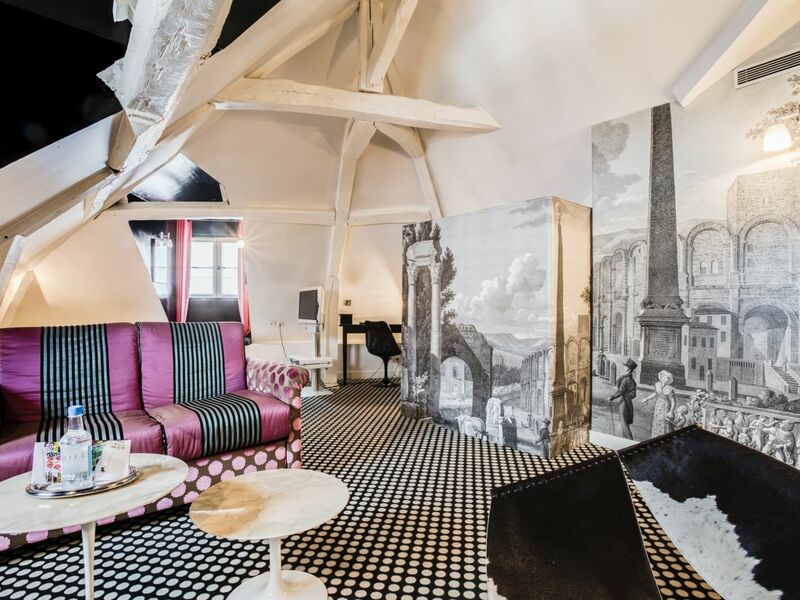 Inspired by illustrious French fashion designer, Christian Lacroix, Hotel du Petit Moulin is a riot of colour. There’s wallpaper depicting a galaxy-filled night sky, bathroom murals that make you feel like you’re in the rainforest, clashing zebra prints next to mosaics and Persian rugs, and crystal ball bedside lights. 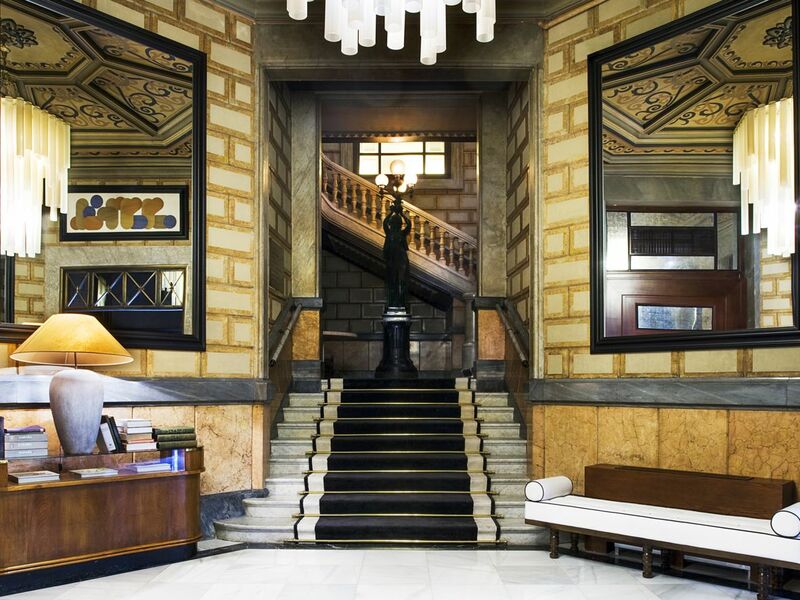 Once the headquarters of Barcelona’s Cotton Producers’ Guild, the 19th-century Neoclassical building that is now the Cotton House Hotel has been revamped to maximalist glory by prestigious interior design studio, Lázaro Rosa-Violán. The octagonal hall and six-storey, spiral staircase that seems to float in the air (it’s suspended via the ceiling) makes an eye-catching first impression. The reception area has elements of period grandeur, like marble floor tiles and carved wooden doors, mixed with modern art and a cream, designer sofa. Each room is named after a type of cotton, a theme reflected in the decor with small cotton plants, pressed cotton flowers and other subtle details, alongside illuminated fabrics and wood panelling. 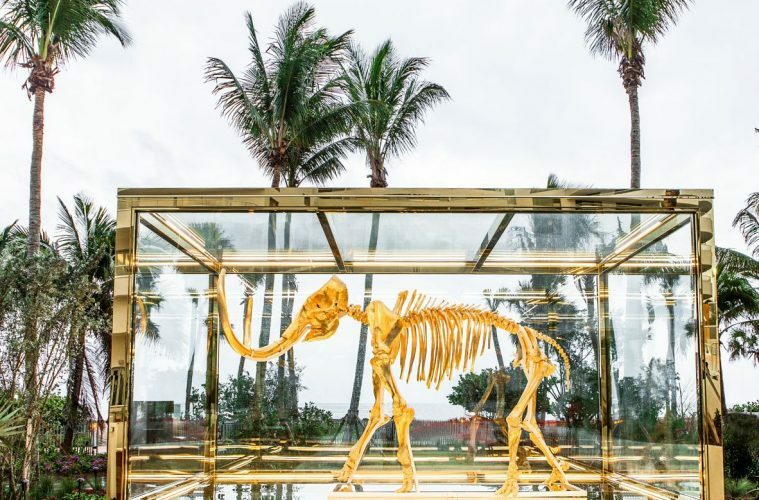 The extravagant Faena Hotel Miami Beach feels like you’ve walked onto a movie set; not surprising when you realise that it was created in collaboration with Moulin Rouge and Great Gatsby director, Baz Luhrmann, and his costume designer wife Catherine Martin. 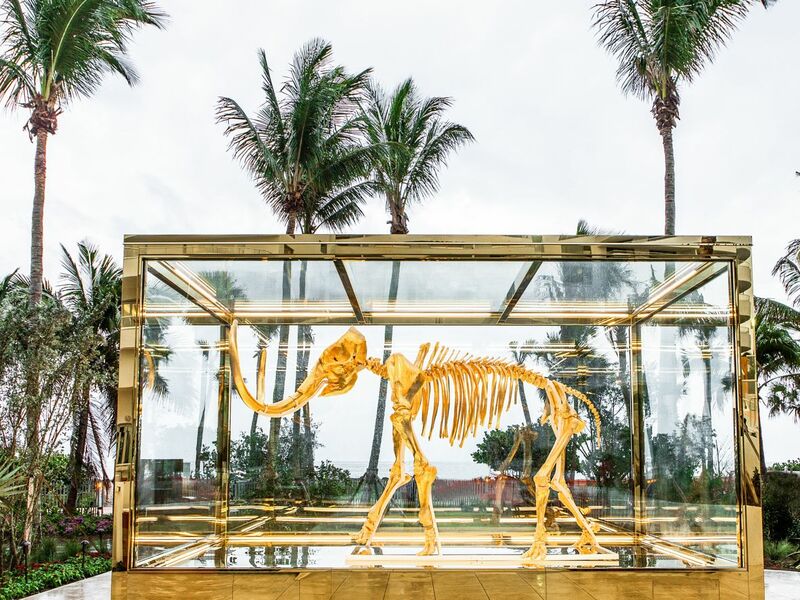 Nothing here is understated; from Damien Hirst’s sculpture of a gold mammoth skeleton encased in glass facing Miami Beach, down to the circus-striped, red and white poolside parasols that’ll make you feel like Faye Dunaway in that iconic post-Oscars picture. Brilliant red dominates the colour scheme in the long, Hollywood-esque carpets and velvet upholstery. But perhaps the most maximalist of all are the gold-leafed columns and murals by Argentinian artist, Juan Gatti, depicting love, war and knowledge in tropical scenes. 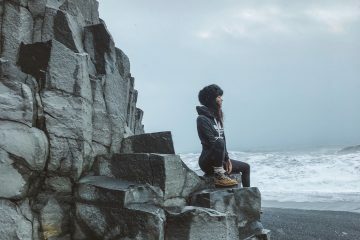 To book a visit at one of these beautiful locations, visit www.booking.com to plan your next trip. For more on lifestyle and travel, follow us @HOLRMagazine.